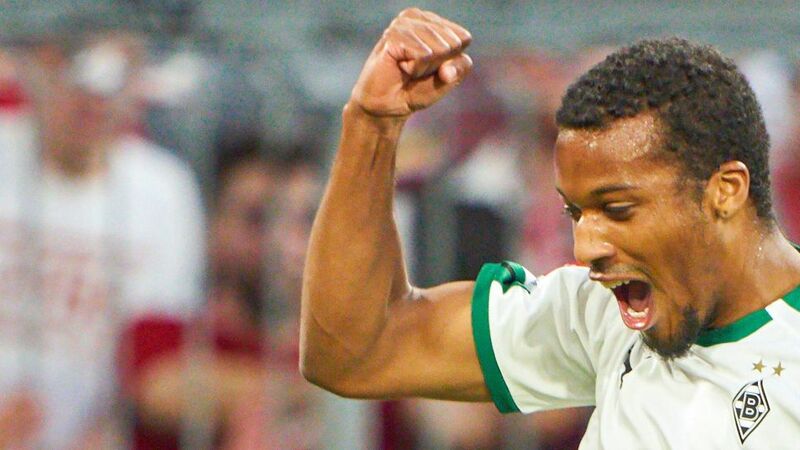 Alassane Plea doesn't expect Borussia Mönchengladbach to challenge Bayern Munich for the title, but he does think the Foals can mount a serious push for Europe that could help fuel his own ambitions of one day representing world champions France. Plea scored his fifth Bundesliga goal as Gladbach inflicted a second successive defeat of the season on Bayern on Saturday. The 3-0 win takes Borussia onto 14 points from their opening seven matches, and sends them into the October international break in second place, a point clear of the defending champions. "We played really well," Plea told kicker after game. "We made it difficult for them. We were clinical with our chances, and we gave little away. Bayern are still a massive side, though. They're all world-class players, and they will be champions." As for Gladbach, Plea believes a place in Europe is a realistic objective. "We've got a very good team, we're playing very good football at the moment," the 25-year-old said. "It's a long season, but we'll try to qualify for Europe. We all really want it." Gladbach's resurgence - Dieter Hecking's side finished ninth in each of the last two campaigns - owes much to the brilliance of Plea. The summer signing from Nice has slotted in seamlessly in the Bundesliga, registering five goals and one assist in seven league appearances, as well as a hat-trick in the DFB Cup first round. Only Borussia Dortmund's Paco Alcacer has put away more Bundesliga goals this term. "It's an uber-competitive league; at first it surprised me, but I'm delighted I made the move," Plea admitted, having turned down offers from the English Premier League to join Gladbach. "I'm really happy to be here. I've been well received, I'm scoring goals and am enjoying life away from the pitch. It helps that there are a lot of French speakers in the team. It feels like home." Despite his blistering form, Plea will remain in Gladbach during the international break. The former Lyon, Auxerre and Nice forward received 24 caps at youth international level for France - the last of which came for the U21s in March 2014 - but is yet to feature for the senior side. He hasn't given up hope, though, with Benjamin Pavard's zero-to-hero tale fuelling his optimism. Pavard was a virtual unknown in his homeland two years ago, before a move from Lille to VfB Stuttgart radically changed the course of his career. He won promotion to the Bundesliga in 2017, enjoyed a flawless season in Germany's top flight the next and latterly started all but one of France's matches on their way to the 2018 FIFA World Cup title in Russia. "It shows that Didier Deschamps is looking at the Bundesliga," Plea said when quizzed on his chances of catching the France coach's eye. "If you're playing well and scoring goals, he'll definitely take a look. It's down to me, though. The level in the national team is incredibly high. I need more experience and I need to keep working hard. Hopefully I'll get the call one day."